My creative place to share articles and current news on all things hair, makeup, fashion, weddings and professional photography. Online dating profile photos- do you like yours? In the fast-paced finger swiping world of online dating, first impressions count. Is your dating profile photo the best it could be? To avoid some common mistakes read on….. or hire the help of a professional photographer. The bond between a Mother and Daughters is like no other. I know, as I am a Mum to beautiful twin girls and the bond we share is so incredibly special. I am lucky enough to have had some amazing portraits of us together over the years and they become more special as we grow older. I am looking forward to the day when they are adults and we share a pamper session together. In the mean time I will enjoy their innocence and the special Mum and daughter time we all love so much. I have photographed lots of Mums and their Daughters over the years. I find that they seem to understand the importance of the connection displayed in their photographs. I find they cherish my photos that shows the love and eternal bond that exists between them. That is why this is one of my favourite portrait sessions to photograph as I love to see the relationship that is shared and I love being able to capture that. My portrait sessions are a total pamper session starting with hair styling and makeup and then the beautiful photography session with lots of laughs, hugs and smiles. This session is a chance to spend time investing in this lifelong relationship. Grab your Mum and/or daughter and reconnect together! Yes- we have so much fun. This is your chance to indulge and just hang out. It is extra special when I am asked to photograph multi generations of women. Three or four generations is something that is well worth organising if you can manage it. It is usually a rare occasion but it brings out so many emotions both during the photo session and when the images are viewed for the very first time. 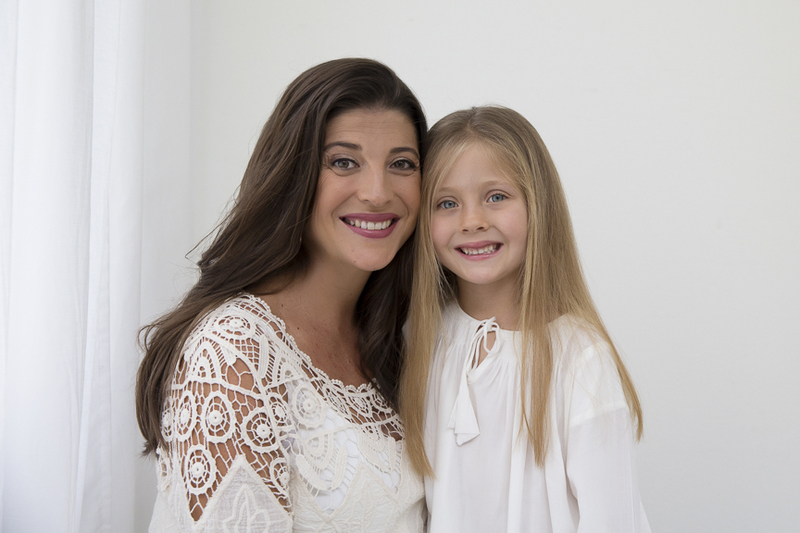 My mother and daughter photography sessions take approximately 2-3 hours and I find most don’t want it to end. For multi generation sessions it can be 3- 4 hours. 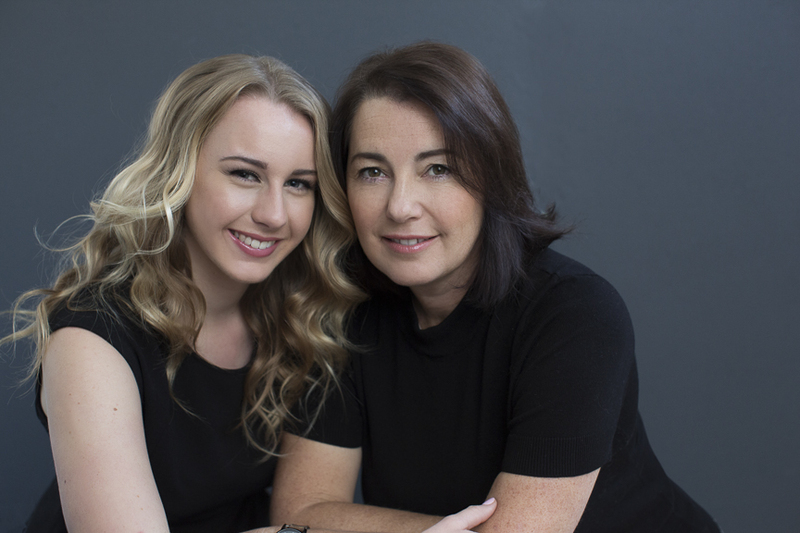 Once your mother and daughter session is completed, you will be booked back into the studio to view your images for a champagne viewing session on the big screen. Together we will design how you would like your images to be displayed. We have a selection of stunning frames for you to choose from, as well as unique art acrylicblocks, keepsake albums and digital packages. My mission is to take beautiful portraits together and individually. They really are treasured moments that will last forever. If you are looking for a special gift for your Mum or for your daughter - this is it! Book the session or surprise them with a gift voucher and organise the date together. It is the perfect birthday, Mother’s Day or Christmas gift for your someone special that has everything. I can guarantee they will never have experienced a gift like this. It’s a special, life long gift that is like a great red wine…it just gets better as the years go by. My boudoir Photography is the perfect session to bring along your partner or fiancé. For women, bring along your favourite clothing pieces including swimwear, lingerie, formal dresses or whatever it is that you would love to wear. For men bring along singlets, board shorts, t-shirts and shorts. You may want to arrive at the studio earlier and have your partner join you after you have had some individual photographs taken. Captured in the comfort of my private photography studio located in the Inner West of Sydney, you can enjoy a couple shoot package with hair and makeup styling, followed by a easy and fun photography shoot. My professional Boudoir Photography can also include elements of your wedding day - bring along your veil, wedding lingerie, garter, wedding heels and jewellery. Most often you won't have time to have these more personal photographs taken on the day which is why we dedicate this session just for this. This is a perfect gift for Valentines Day, Birthdays, Anniversaries or just to indulge. You can purchase your own personalised boudoir photography album full of your favourite photos. Together we will create a story book that shows off you as a couple. My boudoir Photography is the ultimate wedding gift for your husband to be. Captured in the comfort of my private photography studio located in the Inner West of Sydney, you can relax and enjoy a complete package with hair and makeup styling, followed by a easy and fun photography shoot. Bring along your favourite swimwear, lingerie, formal dress, gym outfit or whatever it is that you would love to wear and show off your best attributes for your groom. Bridal Boudoir Photography can also include elements of your wedding day - bring along your veil, wedding lingerie, garter, wedding heels and jewellery. Most often you won't have time to have these more personal photographs taken on the day which is why we dedicate this session just for this. So many brides are stuck for ideas on what to buy as a gift for their husband on their wedding day. This is the perfect, personalised and thoughtful gift that he can treasure forever. You can purchase your own personalised bridal boudoir photography album full of your favourite photos for his eyes only. Together we will create a story book that shows off you and your personality. Here is Dallas when she arrived at the photography studio. Leave your comments on this beautiful makeover. I just love her look. Tips from professional spray tanner Deanna Rhule from Mobile Spray Tan Australia. 1. How many days before my wedding should I get the tan? 2. How do I prepare my skin to ensure the tan is as even as possible ? To have your skin in its best condition we ask that you exfoliate as much as possible in the week leading up to your spray tan, concentrating on hands, elbows, knees and achilles tendon. Moisturising is also very important with a god quality moisturiser. However, when having your tan you must have no Moisturiser, Perfume or deodorant on. 3. Will that tan come off on my dress? It is highly unlikely that any tan will come off on your dress if you have the application 2 days prior to your wedding day. 4. How do I maintain it afterwards? Once rinsing off your tan you can moisturise to help prolong the colour and stay away from pools, spas and any vigorous exercise until the wedding. 5. Can the spray tan even up my existing tan lines? A spray tan can help to even up any existing tan lines dramatically but will not eliminate them all together. It is best to stay out of the sun so tan lines are at their finest. 6. I don’t like the fake tan smell is there a way to avoid it? 7. Should I have a trial tan prior to my wedding? It is HIGHLY recommended you have a trial tan. This ensures you have the right colour and application. Most new brides have a trial tan for their Hens night/day a few weeks before the wedding if they don't already have a professional spray tanner they know and trust. Kathryn & Noel's gorgeous Whale Beach wedding was a pleasure to work on. Bride to Be Magazine featured our real bride and groom. Kathryn wanted beautiful, natural hair and makeup for her beach style wedding. Sydney event planner's gorgeous wedding. Have you always wondered how celebrities manage to look so great and comfortable posing on the red carpet and magazine covers? Wonder no more…. Portrait Couture Photographer Simona Janek has shared her tips with the world in the article on lifestyle.com.au giving all the best advice on how to pose for your professional photographs. Learn how to take a better photograph every time with the tips from Simona Janek, professional photographer and makeup artist. Read her latest article in this weeks New Idea. If you’re unhappy with your profile photo for your Facebook, LinkedIn, Twitter or Instagram account, you need to meet this woman. Simona Janek is the go-to gal for creating amazing business profile shots for everyone from magazine editors and fashion designers to real estate agents, bloggers, and small business owners. Rescu is an amazing online publication featuring everything beauty, fashion and lifestyle obsessed. Editor of Rescu, Bahar Etminan recently interviewed me for expert advice on how to get the best professional portrait. Bahar's business portraits represent her in a professional and beautiful way. So impressed was Bahar that she decided to experience a portrait couture session for herself. We had a great time photographing Bahar -an incredibly beautiful woman inside and out. The results speak for themselves. Have you ever wondered how celebrities and models always manage to look so great in front of the camera? I will walk you through all the tips to ensuring you take a great photograph too! Great photographs don’t happen by accident – they have all of the crucial elements required; including lighting, posing, expression and styling. Corporate headshots don't need to be dull.